We finally have a home to call our own, with a couple outdoor entertaining areas, in an area we adore! We've owned our home for one year now but haven't had a chance to really decorate the outdoors or set up our entertaining area. We've been too busy getting the rest of our homestead set up. We had to get a truck to haul water, create a laundry room because the one here wasn't up to par, switch from carpet to wood laminate (still working on that one), get new appliances, set up our daughter's chickens and rabbit, etc. So, we're getting there little by little. I'm ready to focus some on the entertainment areas of our home and have been getting a few things here and there. At the end of summer, the Dollar General had a big sale on outdoor cushions so I stocked up on those for our deck. I bought some candles, wine bottle lights and a few decor pieces. But it still needed something. And I knew it was rope lights! 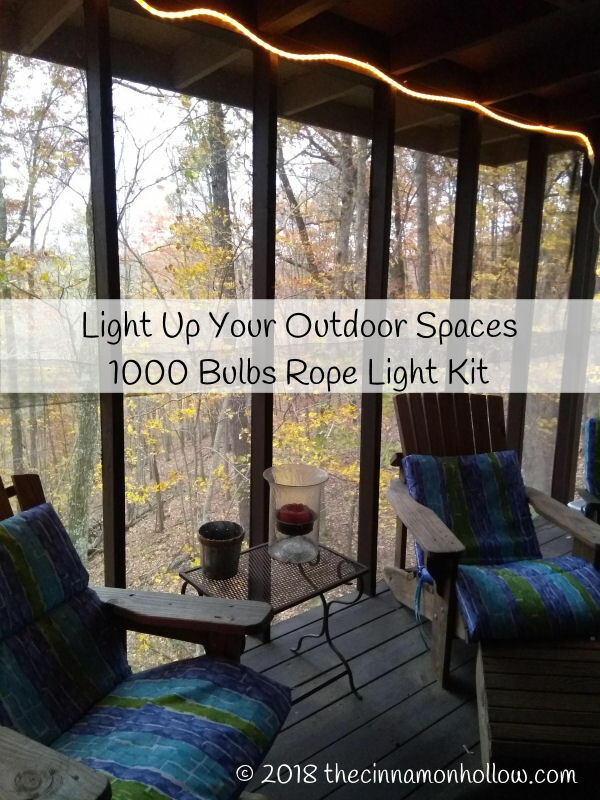 So, I jumped at the chance to team up with USFG and a company called 1000 Bulbs to showcase their rope lights kits. EEEEE I'm excited! I chose the Pearl White to give a softer light to our screened in deck while still offering visibility. I felt like, for this area, the cool white would be too bright and the warm white too dim, so I split the difference and couldn't be happier! (Available in loads of other colors too!) I love the way they light up our deck. My guests can enjoy sitting outside in the screened area without being attacked by mosquitoes, with nice lighting that isn't right in your face like standard overhead lights. This set includes 50 feet of incandescent, pearl white lights. Each kit includes 50 clips/screw, 50 tie straps, 1 molded power cord. 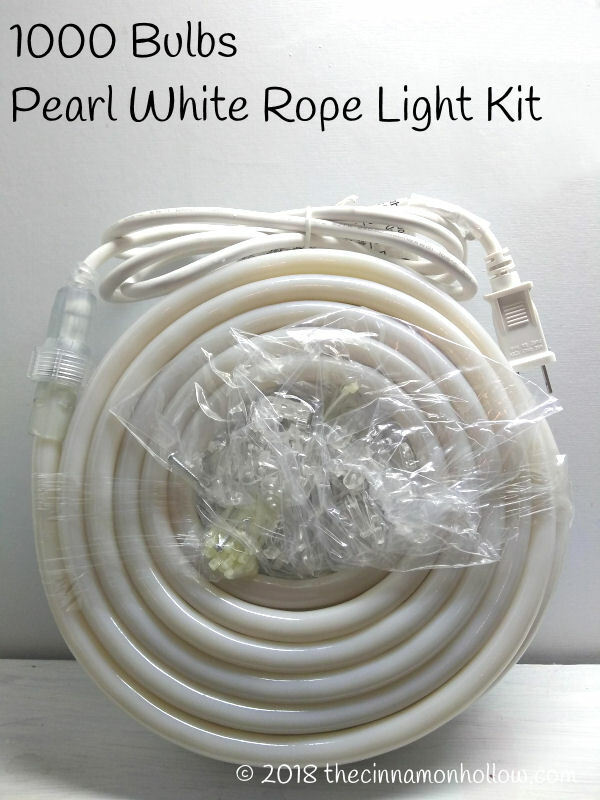 They are 120 Volt, include Easy Installation Kit, White Tubing with Warm White Bulbs and Signature 13MM-FR-50KIT. 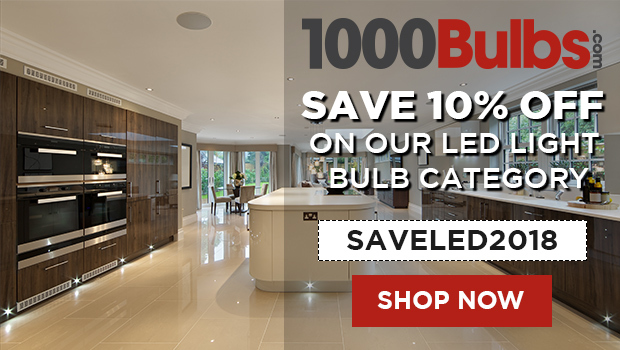 [gn_heading]For a limited time get 10% Off Your LED Bulb Order! Just enter the code SAVELED2018! 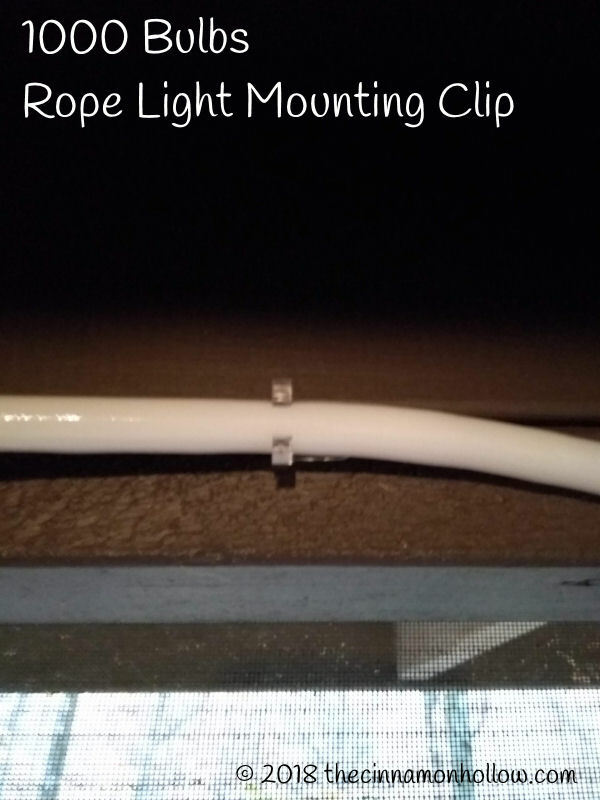 These rope lights are super easy to install. You just hang them, using the included clips and screws and plug them in. 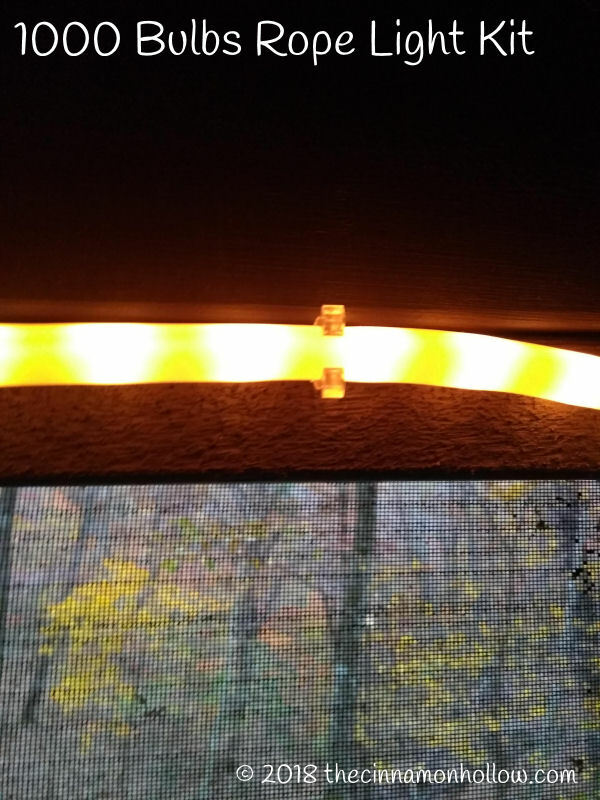 They are rated UL indoor/outdoor so I can use them anywhere on our property to add lighting. I'm also going to put a set up near our bonfire pit area! This way, we can have accent lighting that also lights up the pathway to the chairs without taking away from the ambiance of a good bonfire. I'll work on that area in the spring, though. In the meantime, I'm focused on the screened deck. Clay and I are planning on winterizing the deck this year so we can entertain out there during Christmas. We play a lot of minute to win it games at our Christmas party and that would be the ideal area for games. So, we need to make sure it's nice and warm! I'd love to, eventually, put in floor to ceiling windows that can be opened in the spring and fall and closed in the cooler/hotter months along with tile flooring. This would extend our home while still leaving us an outdoor entertaining area. I have an electric fireplace out there but I really want a propane firepit table. Since the area is currently only screened in, that would be perfect! The rope lights and that, along with the teal cushions, candles and other decor would really make this outdoor entertaining area perfect! Do you like rope lights? What are some tips you have for decorating an outdoor entertaining area?